This minor consists of 15 credits. Students will take two core courses or 6 credits listed in 1 below and then select 3 courses or 9 credits from the list in number 2 below, one of which must be at the 4000 level. A course may not be counted twice as part of the requirements for a major and part of the minor, with the exception of the 12 credits in free electives. Students who take any of the Writing and Communication courses as part of their 12 credits in English requirement will not be able to count those courses as part of the minor. And will have to take additional courses to complete the 15 credits required for this minor. 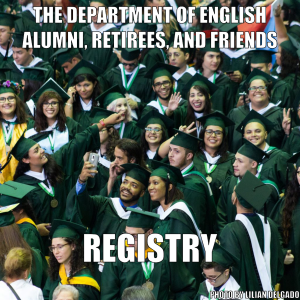 In addition, English majors who declare a minor in Writing and Communication in English will not be able to count English 3231 as part of their minor. And will take another course in Writing and Communication to replace this core course in English. Students must complete the institutional requirements in English. Courses that count as part of the institutional requirements will not count as part of the minor. For students who take one or two of the courses in the minor as part of their institutional requirements, must take one or two (whichever be the case) additional minor courses to complete the 15 required credits. Students should have a GPA higher or equal to 2.75. Students should not be on probationary status. Students should not have withdrawn more than one time from any course in the Minor in Writing and Communication prior to admission into the minor. Students should not have failed a writing and communication course prior to admission into the minor. Students should interview with and receive a positive recommendation from the coordinator of the minor and/or the Director of the Department.